The life of a K-pop fan is best taken one day at a time as groups debut and break up or succeed and fail, K-dramas break our hearts and heal them, and K-varieties hopefully continue to deliver laughs or heartfelt moments. We also have to take things one day at a time because with so many good k-dramas out there like Bad Guys and Liar Game along with all our favorite groups coming back or going on hiatus (wait, what?!) — we’re all just lucky if we happen to get enough sleep to survive our own daily lives while also keeping our hearts intact. The following are the top 5 Things that happened in K-pop last week that I thought were a bit more special than the rest. If you’re not up-to-date with your K-pop and don’t like spoilers turn back now because spoilers, well, they are a-happening. … on your hormones? BTS‘ latest release “War of Hormone” details a healthy young male’s internal battle when faced with an attractive female. It’s not a new concept for a song, but it’s one that BTS undoubtedly can totally relate to, and it’s done in a fun and tasteful way. BTS is definitely one of the rookie groups that have made it on my K-pop radar, and I believe that they have a bright future ahead of them. Everything finally seems to be right in the world of The Three Musketeers with love finally blooming in all the right places. But this is K-dramaland, and any veteran would know that just when you think all is right in the world… bam! I hope my heart can survive next week’s episode 12. I’m anxious to see how the rumored format of The Three Musketeers — three seasons of 12 episodes — will play out. After looking up the history of Crown Prince So-hyeon, I can imagine how the series will proceed, but I don’t recommend any lovers of the show to do that if you don’t want to know what happens (maybe) at the end. In what seemed like forever, but was really just under a year, 2AM marks their return, once again under the management of JYP Entertainment, with the pre-release song “Days Like Today.” The song speaks of certain days when every little mundane thing can remind you of a person you have loved, are missing, or have lost… The song is just wonderful with a mellow groove and the soulful harmonies of 2AM. Their new album Let’s Talk will be released on October 30. 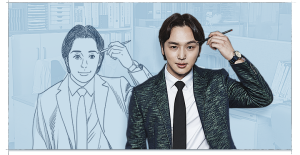 I had almost given up on Misaeng after watching the first two episodes — talk about the most depressing of depressing dramas. The drama, which is based on a popular webtoon of the same name by Yoon Tae-ho, depicts the everyday struggle at work and life of Jang Geu-rae, a once promising baduk player who finally gets a chance at more than just temp jobs when he gets an internship at a large company through an acquaintance. But getting in was only half the battle as he’s looked down upon because of the way he got in, that he only has a high school equivalency certificate, and that he pretty much knows nothing about working in an office of a large corporation. Oh, yeah, his family is dirt poor, and he has no friends, too. Geez. But I decided to watch this past week’s episodes because there was a glimmer of hope at the end of episode two, and I happen to like Im Si-wan, Kang So-ra and Kang Ha-neul all of whom star in the show. Thank the K-drama gods I did because the next episodes were worth all the pain of the first two. It wasn’t because all of a sudden Geu-rae was great or rich because of a birth secret (but hey, it’s a K-drama it still could happen). It was because he worked hard and accomplished little things every day like learning how to make copies, answering the phone without sounding like an idiot, and being of help to his team. And for those of us that run the machine, instead of raging against it, it’s a great depiction of an everyday person’s life. It’s Geu-rae‘s understanding of that life, its ups and downs, and his grasp of understanding others that leads to his day to shine. 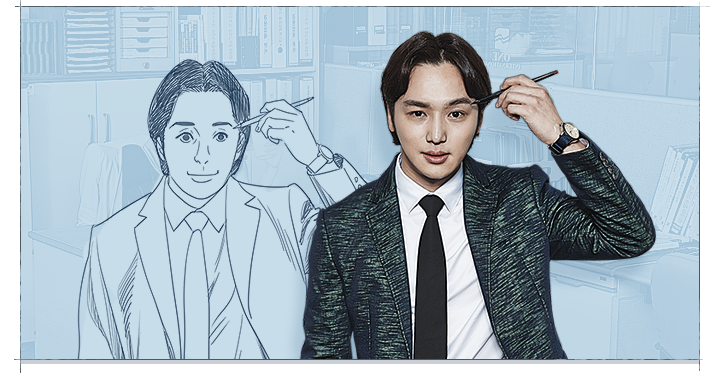 Lastly, I just have to mention that Byun Yo-han who plays Han Suk-yool in the drama is outstanding. Those were the top 5 Things I LOVED in K-pop last week — were they yours?